Plan A Trip: Getting Here Come In! Downtown Aurora is located approximately 3 miles south of the Lake street exit on I-88. Street parking is free within the downtown limits, and there are two parking garages for your convenience. See map below. Visit http://www.rtachicago.com/ to arrive by CTA or Metra. 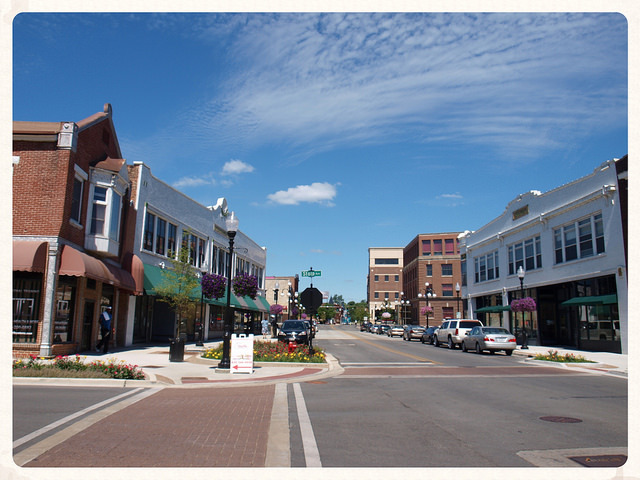 Downtown Aurora is right along the Fox River Trail and there are many accessible paths running through downtown. See our “Outdoors” page for bicycle maps. The Comfort Suites Aurora is our premier downtown hotel. The hotel offers a complimentary hot breakfast, swimming pool, meeting accommodations, an clean, comfortable rooms all within walking distance of everything to do in Downtown. For more information and to book a room, visit www.comfortsuitesaurora.com.